I remember when I found out: I was at school, and I’d called my mom just before class started. Something in her voice sounded urgent. Two words, one diagnosis: Cystic Fibrosis. My three-month old nephew was now doomed to a fate I’d seen play out in my childhood. My mind immediately separated into two spheres, one, thinking of my childhood friend, Melissa, who battled the disease and succumbed to it when she was 24, and my sister, thousands of miles away in Germany, tending to a five year-old, a two-year old, and now, a terminally ill infant. I wanted so badly to call and weep with her. To show up at her house and cook her macaroni and cheese and run my fingers through her hair, to hold her close while wet tears fell between us. We knew what this meant for Walter—we’d watch Melissa live the whole thing. I’d seen the inhalers and nebulizers and hacked up mucus and shortness of breath and the lung transplant and the solidarity of her family and the courage and hope and ultimately, the resignation. It’s almost a year later and my sister and her family have relocated Stateside, in Spokane. 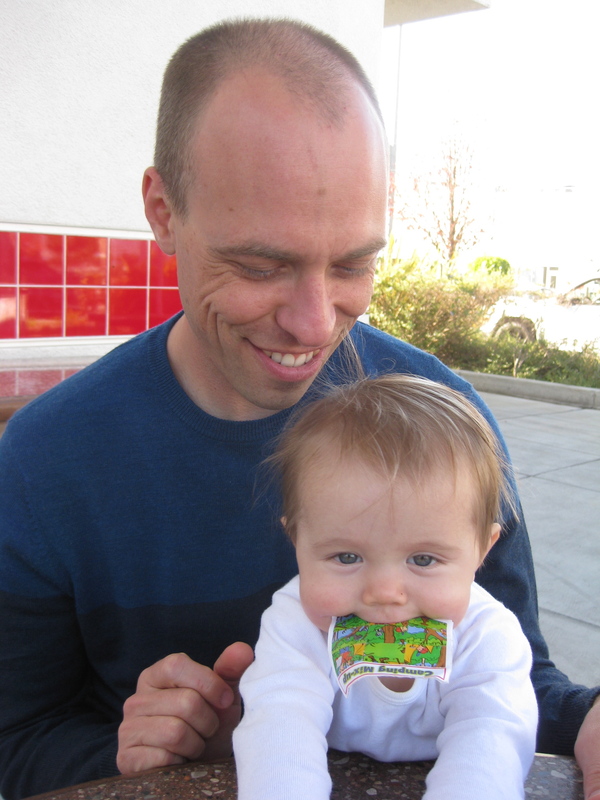 I got to meet Walter for the first time in October, and the little guy is all smiles, and coos and joyful baby love. He doesn’t know he’s sick. He doesn’t know about the football he might not be able to play, the friends who might shun him while he uses his nebulizer, the black tar that might grow and adhere to his lungs. I try not to think about him in his teens or twenties, try not to consider how quickly a cure might progress to let him live to see his forties. And I cannot, imagine, for the life of me, how my sister wakes up every day, stares into the lake of his blue eyes, and knows that she will likely have to say good-bye to this little love. So I’m joining her in celebrating Walter’s first (of many, many!) birthday by participating in The Great Strides Walk, a Cystic Fibrosis fundraiser. It’s one of the only things I can give the boy for his birthday that encapsulates the hope I have for him and my sister—the hope of a long, healthy life. Of a cure. 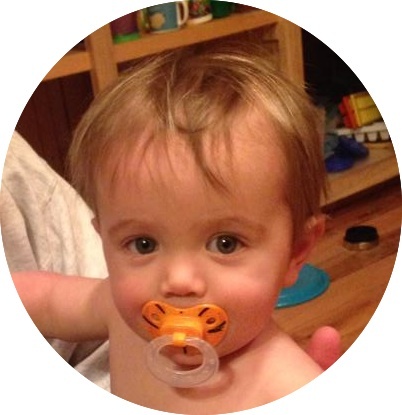 I would LOVE to raise at least $350 to “gift” to this little one, and I wondered if you would help me. I am asking for a $10 donation from each of my friends (and I think I have more than 35 of you!!) You can go here to donate to Walk for Walter. The addendum to the song “Happy Birthday” says, “and many more.” This is my way of ensuring many more for Little Walter. Because who can imagine a face like this vanishing before its time? The Happiest Almost 1 Year Old I Know! Thanks for helping me celebrate my nephew’s birthday. If you remember last year about this time, I was touting grapefruit and kale in this Come to Jesus Salad. 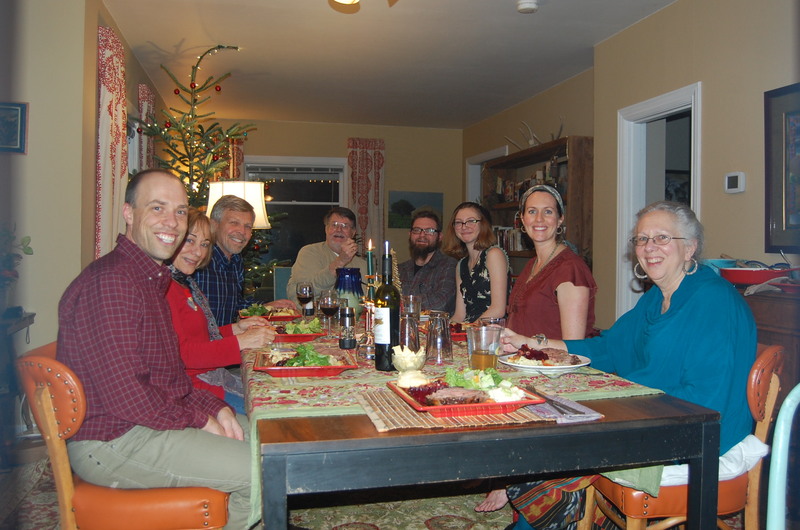 Lest you think that my holiday eating habits were any different this year, I made that salad for a New Year’s Eve dinner as an effort to rid my body of the See’s candy, cream biscuits, Danish kringle, co-op ice cream, and pumpkin cheesecake that forced their way into my mouth. So you may be confused as to why I am peddling mashed potatoes here. Here, at this juncture when we’ve all sworn off of carbohydrates and creams and sugars. Here, at this crossroads when we’ve three days of clean eating behind us and so many unfettered days of clean eating ahead. Why am I dooming us? It’s for our own good. Let’s call it preparation. Reinforcement. Investing in our futures. Because down the road, say on a day when work is particularly heinous or the weather cues comfort food or a holiday or child demands mashed potatoes, you will wish you had this recipe tucked away. Let me give you an example. I have a teaching colleague who is going through a divorce; she confided to me in the hallway one day: “I wanted to go out drinking, but the thought of getting myself ready to go out and then the sight a forty-something-getting-a-divorce-woman sitting at a bar by herself on a school night made me want to cry. So instead, I put on my tap shoes and baked cookies. I can picture her now: ensconced in the place where she raised her boys and cooked many suppers for her I’m-dating-someone-younger-and-therefore-better-than-you husband, this woman said The hell with it and breathed new life into an old space. She reinvented a place haunted by memories of her once happy family. She tapped dance while baking cookies. I cannot think of a better temporary cure. Alexanders while you break the eggs, double wings as you mix, and perhaps this little number while the cookies bake to golden perfection. I imagine if she had been a savory gal, she would have tossed some russets on the stove to boil and made these instead. While tap dancing. You’re probably still thinking, Linsey, mashed potatoes? And here is where I tell you that every person at our Christmas dinner table swooned over these bad boys. That despite numerous past pillows of fluffy white goodness, these reign supreme. You might just drum up a holiday or false need to whip them up. I’m thinking President’s Day will do the trick. Abe liked potatoes, didn’t he? In fact, these are so good, I think it should be each of our New Year’s Resolutions to make them at least once in the next 362 days. You know you’re going to want carbs come February. See how happy everyone is when these mashed potatoes land on their plates? Recipe notes: You, like my mother, might feel compelled to—despite the recipe—pour some of the cream out of the bowl. This is not only sacrilegious, but also cause for hanging in many states. I beseech you to use the full, obscene amount of fat the first time you make these, and then tamper as you wish, at your own risk. 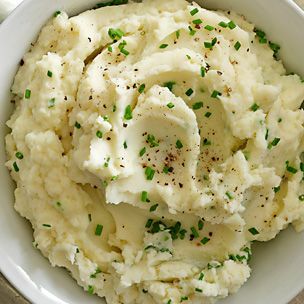 P.S.–If you really want to have a holiday to remember, next year make these mashed potatoes and later force your family–parents included–to play Cards Against Humanity. Holiday of epic proportions. Place potatoes in large saucepan and cover with 1 inch cold water. Bring to boil over high heat, reduce heat to medium low and simmer until potatoes are just tender, 20-30 minutes. Drain. Let potatoes cool slightly and peel potatoes. Using a ricer, food mill, or masher, process potatoes in sauce pan. Stir in melted butter until incorporated. Gently whisk in half and half and cheese. Set pot over low heat until cheese is melted. To keep potatoes warm until serving, use a second pot to set up a double broiler. Happy New Year, Friends! May the trails be long and the carbs be worthy!